Desalination might not just be handy if you find yourself lost at sea or shipwrecked on a remote island. In the near future, it might be an absolute necessity. As sea levels rise and sources of rivers, irrigation and ground water dry up, turning sea water into drinking water might be the only way to keep people hydrated and crops growing. 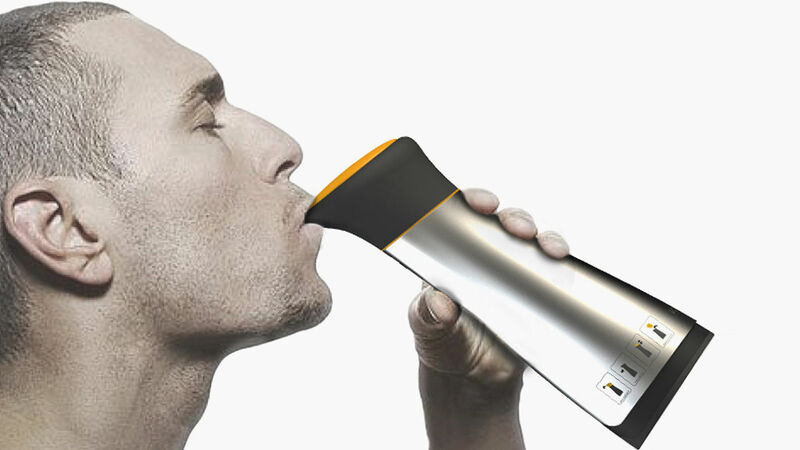 And that’s where this new bottle concept comes in, which was designed by a team from Yonsei University in South Korea and entered in the 2013 IDEA awards. The idea is simple: You pump a plunger at the top, pressurizing ocean water until it’s pushed through a membrane at the bottom and fresh water enters into another chamber. 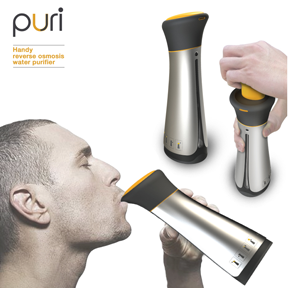 The Puri portable fresh water equipment has reverse osmosis technology. This is the only product that can continually supply water when people get into marine disasters. It puts the best face on it when people get into emergency situations. At this point, the students are likely to mount a crowdfunding campaign in order to get the necessary seed capital to develop the technology. Personally, I look forward to seeing this and other such products being made available in camping and outfitting stores. If walking the Sunshine Coast Trail has taught me and the wife anything, it’s that water is mighty precious, and not always readily available! And be sure to check out this concept video produced by the Yonsei students, or visit their website by clicking here.